The Designated Hitter has been a pox upon baseball since 1973 (or a boon for fans of high scoring games on the opposite spectrum). The introduction allowed for managers to include a much better hitter in place of the pitcher’s bat, allowing the pitchers to also primarily focus on just pitching. Fans whom dislike the DH Rule tend to point towards the tradition and purity of Major League Baseball, stretching nearly 70 years without the use of the DH and letting the pitchers handle their own at-bats. Fans of the DH Rule tend to opine that pitchers generally are lousy hitters and a waste of a hitting spot on the lineup card, usually stationed in the #9 spot with fingers crossed that they can get a hit or two over the course of 2 Starts. This 2010 Saturday Evening Post article by Jeff Nilsson helps highlight the arguments supporting and crying foul about the use of the DH Rule. Despite the rule being raised as far back as 1906, by Connie Mack, the rule would not gain enough traction until 1973. Oakland A’s owner Charlie A. Finley, along with other American League teams, voted 8-4 in favor of utilizing the DH for the 1973 Season. The National League held its own vote in 1980 (in which the DH would have started in use for the 1982 MLB Season) and the vote was 4-5 with 3 teams abstaining. A vote has not been held since and many fans of the game tend to swear their allegiance to the rule depending on the league alignment of their favorite team. The majority of players used in the DH spot tend to be older veterans (such as Frank Thomas with Oakland and Toronto), players with below average fielding but powerful bats (such as David Ortiz), or players who are in a logjam at a position but are too valuable hitting wise to bench (such as Adam Dunn). The 1960’s were largely dominated by the starting pitchers, most prominently names like Sandy Koufax (2.19 ERA from 1961-1966), Bob Gibson (2.55 ERA from 1963-1969), and Juan Marichal (2.34 ERA from 1963-1969). After the 1969 season, MLB lowered the mound to 10 inches, from 15, and lowered the top of the strike zone from the batter’s shoulders to their armpits. Even still, 1971 saw the American League teams combine to hit just .247 on the year. Four of those teams didn’t even hit 100 home runs on the season. The next year was even worse featuring a league average .239 BA and six teams under 100 home runs including Texas finishing with just 56. The National League was actually better by comparison: .252 and .248 while improving the spread of home runs in 1972. 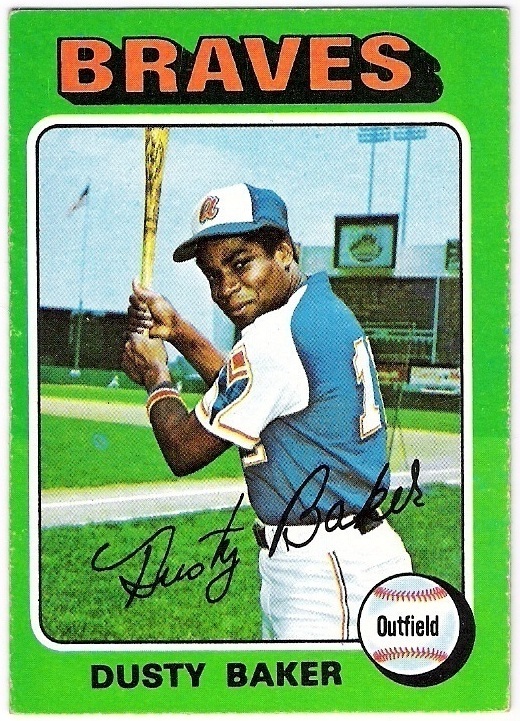 The NL leaders in 1972 had 7 players hit over .311 including future manager Dusty Baker, whom hit .321 on the season. The issue was much worse over in the American League where 6 hitters managed to top the .300 mark with another future MLB manager, Lou Piniella managing to hit .312 on the year. By comparison, pitchers were notoriously bad hitters with a few exceptions and even up to modern day, that standard has not changed very much with the exception of sporadic home run highlights from pitchers such as Mike Hampton. In 1972, Jim Palmer led Baltimore with a robust .224 BA. Sonny Siebert hit .236 for Boston while Luis Tiant, the world class pitcher, hit a sterling .107 for the team. Steve Kline whom finished 16-9 for the Yankees hit just .092! Here is how the American League compared in 1971 (2 Years Before DH Rule), 1972 (the year before the DH Rule), 1973 (The Introductory Rule), 1974 (1 Year Afterwards), and 1975 (2 Years to Settle In). 1971: .247/.317/.364 with 3.87 Runs Per Game – 2,426 Doubles and 1,484 Home Runs. 1972: .239/.306/.343 with 3.47 Runs Per Game – 2,260 Doubles and 1,175 Home Runs. 1973: .259/.328/.381 with 4.28 Runs Per Game – 2,624 Doubles and 1,552 Home Runs. 1974: .258/.323/.371 with 4.10 Runs Per Game – 2,564 Doubles and 1,369 Home Runs. 1975: .258/.328/.379 with 4.30 Runs Per Game – 2,662 Doubles and 1,465 Home Runs. The impact was immediate as well, most noticeably in the sudden ability to add another hitter whom could provide a team with 25 Doubles and 25 Home Runs over the course of a season, while driving in far more runs than a pitcher ever could. Even 1973, the initial year, saw several players able to stretch out their careers and be productive as well. In Baltimore, Tommy Davis was 33 years old and past his prime but still managed to hit .306 with 20 Doubles in 590 plate appearances. The Boston Red Sox also used an old veteran, Orlando Cepeda whom was 35 years old, in their DH spot for 142 games. He delivered a .289 BA with 25 Doubles and 20 Home Runs. His total of home runs were just six fewer than Carlton Fisk and one more than Carl Yastrzemski. In Detroit, they used a combination at the DH spot with 34 year old Gates Brown and 36 year old Frank Howard. They were rewarded with a duo that combined for 20 Doubles, 24 Home Runs, and 89 Runs Batted In. Nowadays, the DH Role is primarily utilized for aging sluggers who can still hammer out 20-30 home runs in a given season. By 2006 at age 35, Jim Thome was stuck in purgatory being old and not physically fit to handle 1B anymore. 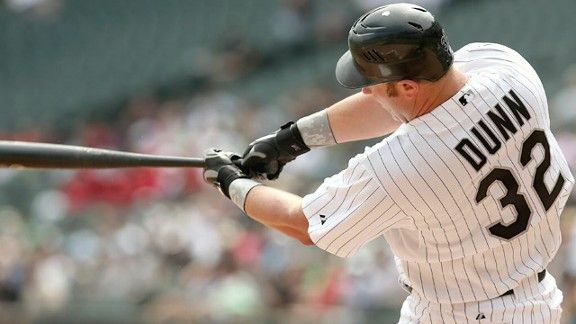 Despite those issues, the DH spot allowed him to hit 174 more home runs with a .266 BA (622 more hits as well) from 2006-2011 mostly playing for the Chicago White Sox and Minnesota Twins. Edgar Martinez made his name as one of the best hitters in baseball but primarily hit from the DH spot for most of his career. Much like Thome, he transitioned to the DH role and proceeded to mash the ball from age 32 through age 41. Starting in 1995 and ending in 2004, he hit .316 with 1,561 hits and 247 HR. Without the DH role, Martinez definitely would not have gotten a 10 year addition to his career and likely would have been out of baseball by 2000 or 2001 at the very latest. Sports Illustrated Writer Jay Jaffe wrote a fantastic piece on Edgar Martinez and his 2014 Hall of Fame chances in December of last year. Even teams have been impacted with the addition of the DH. David Ortiz has largely been the face of the Boston Red Sox and been stationed in the DH Role since 2005. From 2005-2013 he has hit .291 with 301 HR including 30 last year at age 37. He was a massive reason why the Red Sox were able to win World Series championships in 2004, 2007, and 2013 last year. Just comparing the AL (with the DH) against the NL from the past 5 years, sorted by Batting Average, highlights the differences. It’s worth noting that the NL not only tended to lag behind in terms of BA (and as a result, a lower On Base Percentage as well) but dramatically underperformed in Slugging because pitchers aren’t exactly known for their prowess to hit the ball for extra bases. The NL’s best season, 2009, was comparable to any season in the American League from 2010-2013. This is made even more alarming when you take into account the fact that the National League has the most advantageous hitter’s park in baseball in Coors Field, home to the Colorado Rockies. At the arguable peak of baseball in terms of home runs in 2000 and 2001, fans of the Colorado Rockies got to see Pedro Astacio hit .098. The next year, Denny Neagle hit .196 while teammate Mike Hampton (one of the best hitting pitchers in the recent era) hit a good .291 with 7 HR. With that said, he definitely had the Coors Field advantage hitting .205 on the road compared to .400 at home. Imagine if the Colorado Rockies were able to add another bat to their lineup that could add 35+ HR given the favorable conditions of their home ballpark? They went 82-80 in 2000 and 73-89 in 2001. There was an obvious and immediate impact when the DH rule was introduced in 1973 for the American League and it is hard to argue against the positive benefits; namely that it increased scoring, helped longevity for players and their careers after their physical peak, and also boosted attendance figures tied back into wanting to see more runs scored. Whether the DH rule works for you on a personal level, however, is entirely up to each individual fan. Contact David Hunter via e-mail at harleyquinnmark@yahoo.com or Tweet directly to DH523! See my other Culture Crossfire articles here.